Looks like there's a bump in the road for Nicki Minaj and her comeback. The Head Barb was scheduled to appear on television today for an interview and to perform, but don't look for her on the tube this afternoon. After performing twice since making her official return into the limelight, the "Barbie Tingz" rapper is cancelling her appearance on the "Ellen DeGeneres Show." In an Instagram post, she explained she will not appear on the show because she couldn't fly out to the studio. Apparently, a doctor advised her not to fly. It's unclear WHY the doctor said she couldn't fly, but she's following his/her orders. She captioned, "I couldn’t fly out to shoot Ellen. [Doctor’s Orders]. I’m sad about that. There’s an announcement I was going to make on Ellen. I’ll make it tomorrow via social media instead. Love you"
The Young Money rapper announced she was going to do another scholarship/student loan giveaway for her fans to celebrate her return on the ELLEN show. You'll recall, around this time last year, she appeared on the show and talked about how she was helping college students. Ellen got inspired and wrote her a $25,000 check in support of her philanthropic effort. Since she's not going to be on the show, Nicki announced she would reveal her "big announcement" on social media later today. So, stay tuned Barbz. We do wonder how these "doctor's orders" will affect her upcoming world tour? And how will it affect her press tour for her upcoming album QUEEN, set to drop June 15th. We know her fans are impatiently awaiting a full comeback. SZA is on the sick and shut in list...again. It seems TDE plans to make up for the missed dates. 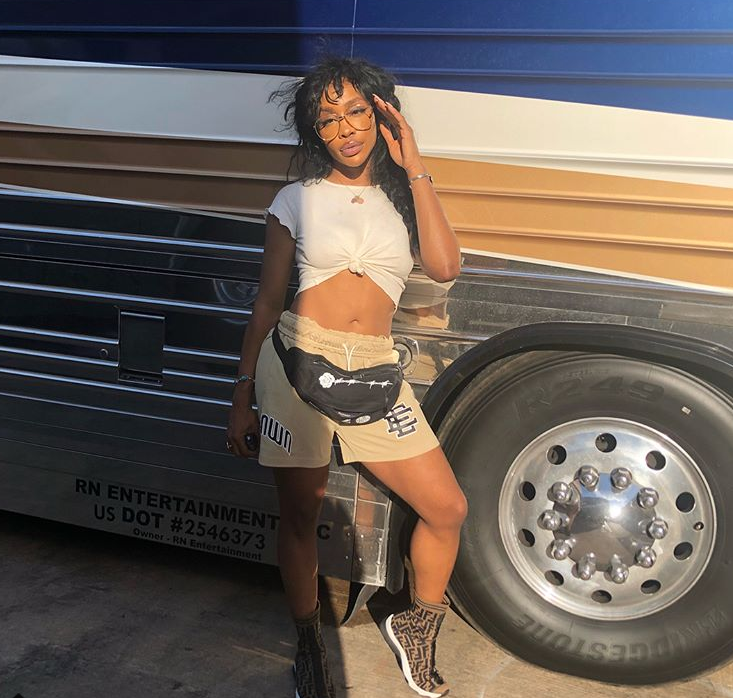 Back in August, SZA suffered a similar situation where she postponed dates on her "CTRL" Tour. She blamed that situation on allergies. And her vocals weren't A1 for her Coachella debut either. Now, folks are wondering if it's something else since she revealed she took drugs helped her write her CTRL album. In a Billboard interview, she shared she was struggling with coming up with material for her debut album. Somehow, she ended up trying mushrooms (aka “shrooms”) for the first time while hiking in the coastal woodlands of Palos Verdes Peninsula Land Conservatory in L.A. And the rest is history. Kendrick Lamar and the TDE Family will hit the stage in Tampa tonight, sans SZA. 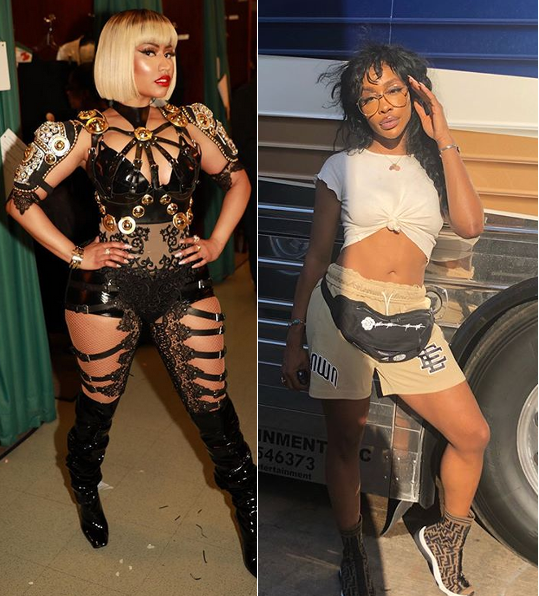 Get well soon SZA & Nicki!